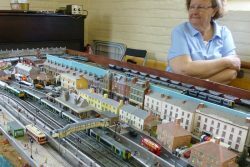 The Rotary Club of Fordingbridge held its third successful model railway exhibition on April 14 at Avonway Community Centre. 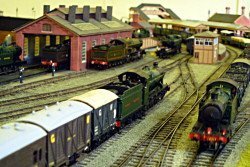 The location has become an attractive venue in Fordingbridge providing excellent facilities with number of rooms providing space for model railway layouts both large & small showing model building at its most skillful and ingenious. The event attracted layouts from local enthusiasts from far and wide, including Wimborne, Fareham, Gosport and a representation from the Lynton and Barnstable Railway Preservation Society. 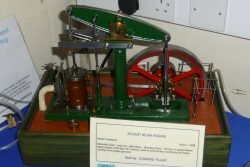 The event, the most successful to date, attracted 500 visitors who enjoyed the various displays together with model steam engines and excellent teas and refreshments in the Railway Cafe organised by the Rotary Club. All profits from the event go to Rotary nominated good causes. The next exhibition will be held on Saturday 13th April 2019, so make a diary note.